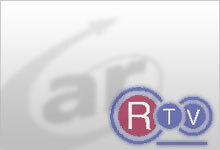 CAR Video Unit is a community training organization based in Rossendale. 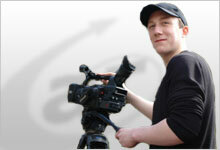 It was set up to provide accessible video production training to the people of Lancashire and the North West. Wherever possible, we link our project groups to local Voluntary and Community organizations in Rossendale and beyond which would find video content useful for the purposes of raising their organisations’ profiles and attracting further support. 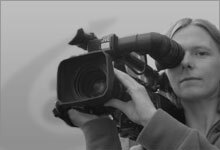 CAR Video Unit also produces professional video content for commercial and public bodies at competitive commercial rates, both to provide work experience for trainees and to generate revenue to help fund the activities listed above. The major project CAR for 2011-12 aims to produce around thirty short films promoting various features of Rossendale. A website to host these has been developed at rossendaletv.co.uk which will be a local ‘YouTube’ / net TV channel set up to promote the area. Local businesses are being sought to advertise on the Rossendale TV channel and/of sponsor the films to be shown there, with a view to supporting our community activities into the future. CAR Video Unit is based at ‘The Boo’ in Waterfoot, home to the renowned Horse + Bamboo Theatre Company.